When you’re 16, the world of motorcycling can seem so far away, but it needn’t be the case. Though not in the spotlight as much as their bigger alternatives, there is a thriving 50cc motorcycle market that will get you on two wheels and honing your road craft so that, come the right age, you already have a wealth of experience under your belt and are ready to get on a bigger machine. The first thing you’ll need to do is get your provisional licence, which you can apply for through the DVLA website. Once obtained, you’ll then need to complete your Compulsory Basic Training (CBT). It’s simple to do and doesn’t cost too much money. From there, you’ll be free to ride around for two years with L-plates. So, what do you go and ride? You can take to the roads at the age of 16 on a 50cc motorcycle or scooter, or on a 125cc powered machine if you're 17 or older. It might seem a little intimidating, buying your first motorcycle or scooter, but thankfully there's plenty of choice. For those who are restricted to 50cc, it can be hard to know where to start looking. 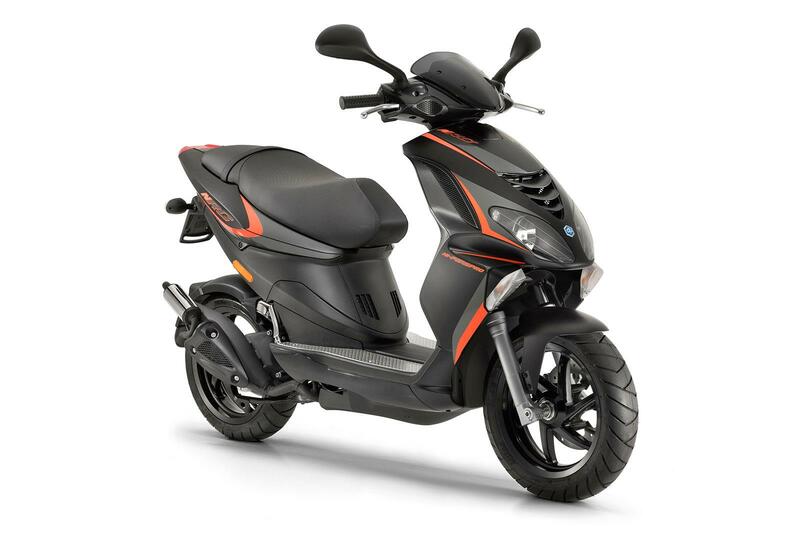 Thankfully, at this year’s EICMA motorcycle show in Milan, there were a plethora of 50cc motorcycles and scooter announced, perfect for an introduction to life on two wheels. The SX 50 looks like a proper fun bit of kit, it’s a proper bike too, so it has a six-speed gearbox and clutch along with all the other bits you’d associate with a bigger machine. It would be the perfect tool to learn the control and operations of a motorcycle, ready to step up to a bigger machine when able. It’s powered by a single cylinder, two-stroke motor that sits in a twin-spar steel frame. It’s not a small bike either, despite its 99kg weight, with a seat height of 860mm, it won’t feel like a small capacity machine when you sit on it. For those looking for that little bit more, Aprilia also offer the SX 50 Factory, which comes with an updated spec. The front brake on the Factory features two pistons instead of the singular one in the standard SX 50. The rear suspension will also feel better thanks to the introduction of a progressive link system. The 41mm upside down forks are also a vast improvement over the 37mm items on the standard machine and feature 240mm travel, which is a drastic increase over the 170mm on offer from the standard bike. The classics never go out of style and that’s certainly true of Vespa, who will be bringing a special-edition 50cc Primavera scooter to us for 2018. 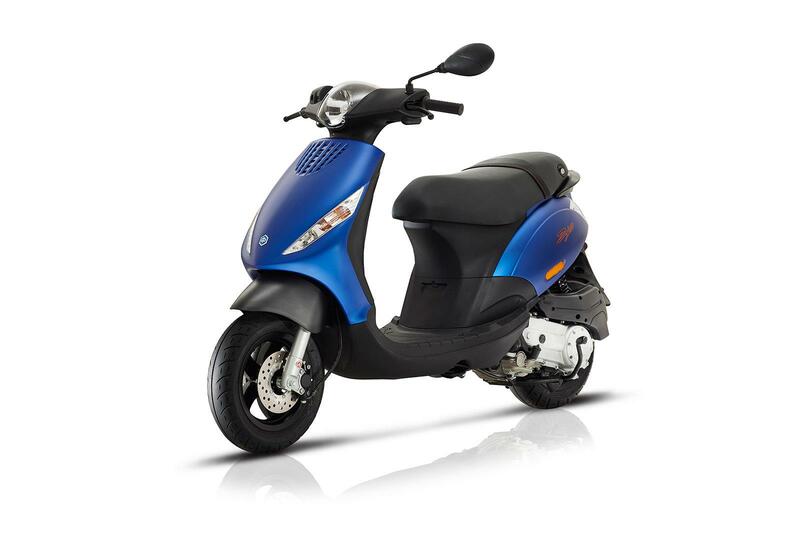 Unlike many other 50cc models, the Primavera is powered by an air-cooled four-stroke motor that’s fed from a fuel injector. With a nautical theme running throughout, the Yacht Club has been made to celebrate the sailing world. Perfect then, for when you need to nip to the harbour to, err, go boating and stuff. We think they missed a trick calling it the Yacht club though and should have named it Scooty McScooterface. Piaggio’s Typhoon scooter is getting an update for 2018, with a new carburettor that is electronically controlled by the ECU. It also gets a redesigned exhaust system with two catalytic converters to help keep emissions down. 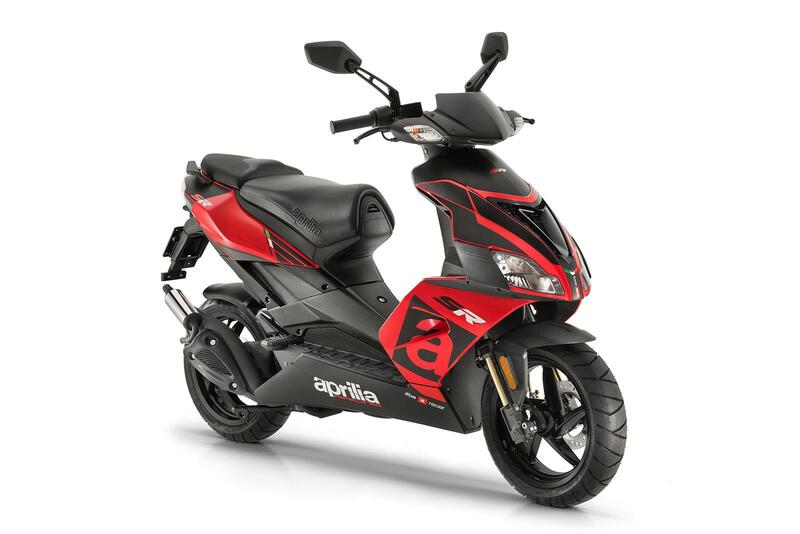 If you want to get on two wheels, but don’t fancy shifting gears then a scooter is the way to go and Aprilia’s SR 50 is among the sportiest of them all. The SR 50 has been around for a while, but will be getting an update for 2018. The frugal 50 gets a new paint scheme next year and will also have a few subtle additions which include a new air filter, exhaust cover and number plate bracket. 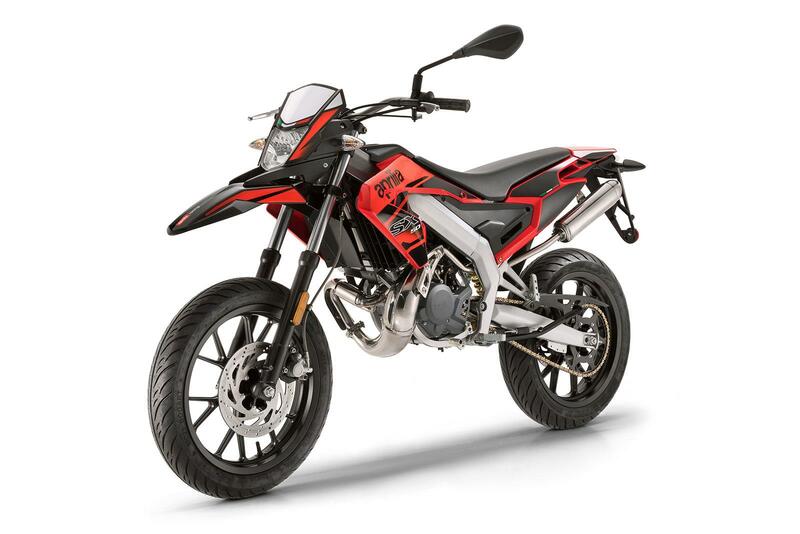 Derbi’s Senda comes in model variants that are very similar to Aprilia’s SX 50, hardly surprising that they’re owned by the same parent company, Piaggio. 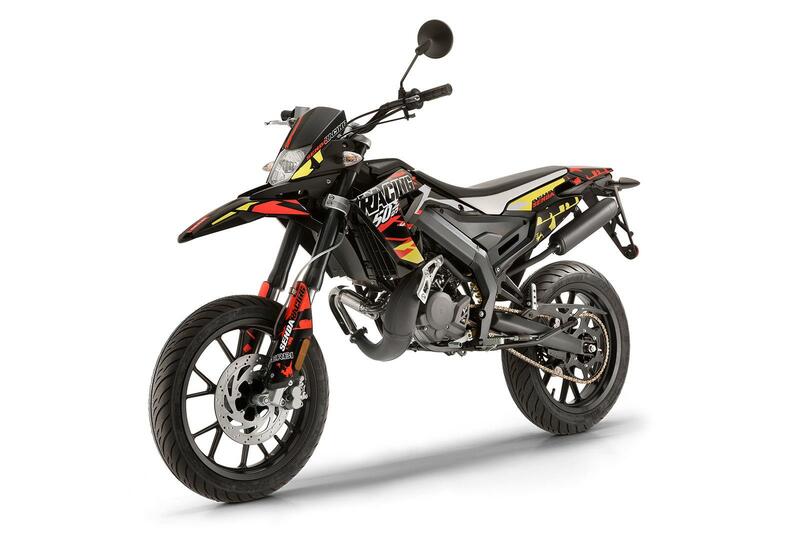 In fact, the only difference between Derbi’s Senda Racing model and Aprilia’s SX 50 Factory is the rear swingarm and shock mount, which is made from steel on the Senda over the Aluminium featured on the Aprilia. It’s got a nearly identical specification without the increased price-tag associated with the Aprilia brand - do the math. 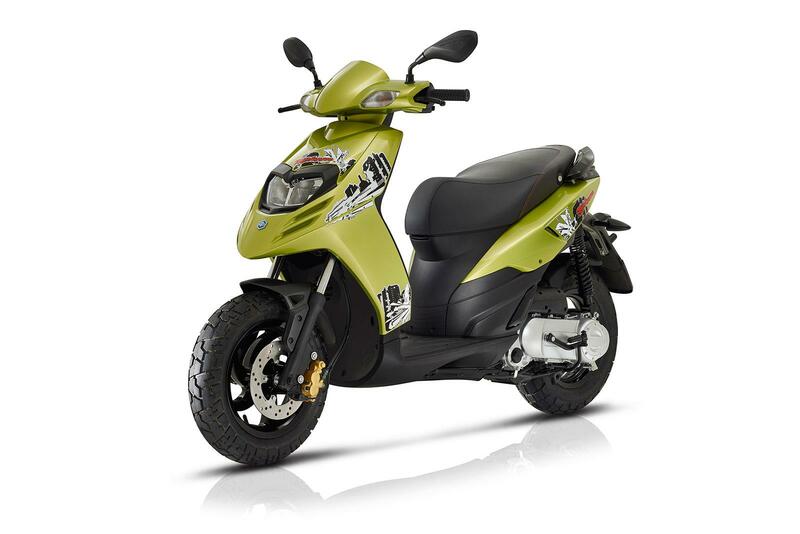 Piaggio’s NRG has been around for a while, with the model able to trace its origins back to 1994. 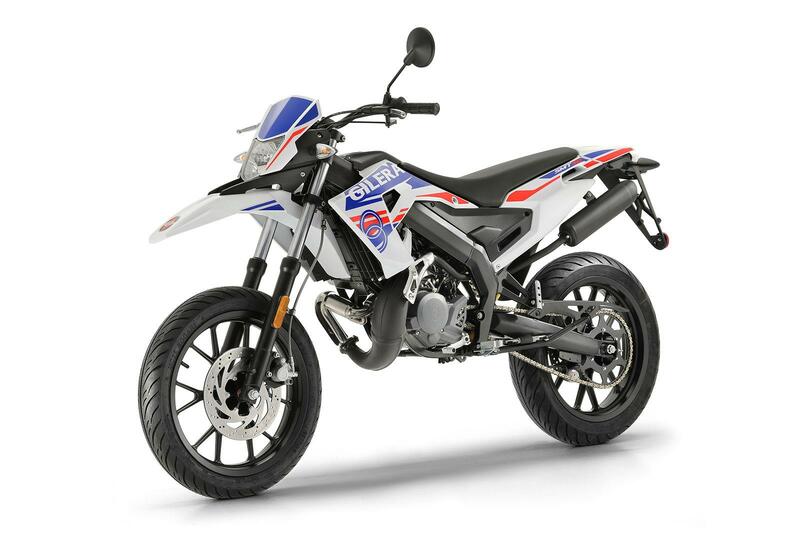 The two-stroke 50cc comes with a no frills approach. If you’re after a cheap and practical way to get around then the NRG is a good bet. 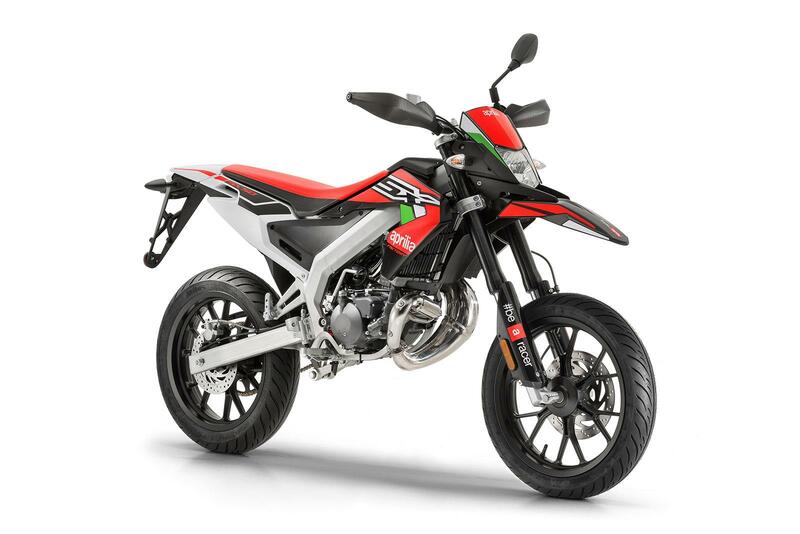 Another Piaggio owned brand, Gilera have new SMT and RCR models and, surprise, surprise, they’re exactly like the standard Aprilia SX 50 and Derbi Senda. The SMT is a road-focussed model, with 17-inch wheels shod with road tyres, the RCR comes with an off-road bias, coming with a 21-inch front wheel and an 18-inch rear and comes with off-road tyres. Between the three brands, do your research and buy the cheapest one because there’s no major difference between them other than a paint scheme and badge. 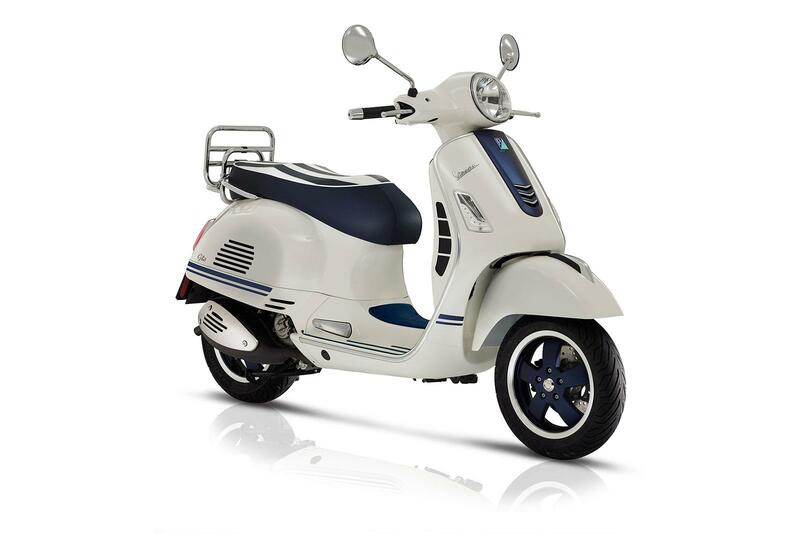 The Zip, like the Vespa, features a four-stroke 50cc single cylinder motor with three-valves. It’s also got fuel injection and interestingly, comes with an adjustable seat that allows the rider to sit at one of three heights. It can be adjusted from the lowest 750mm height through to 765mm and finally 780mm, making it a good option for both tall and shorter riders.